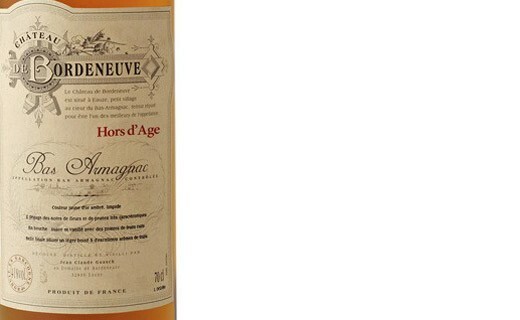 Aged for over 10 years in oak barrels, Bordeneuve Hors d'Age Castle is from the best terroir of Armagnac. Belonging to the family Guasch, Bordeneuve Castle is located on Maignan Eauze, the capital of Bas-Armagnac. Its magnificent terroir, consisting of fawn sand and hard clay is planted with Ugni Blanc (80%) and Baco (20%). Its color is golden amber. 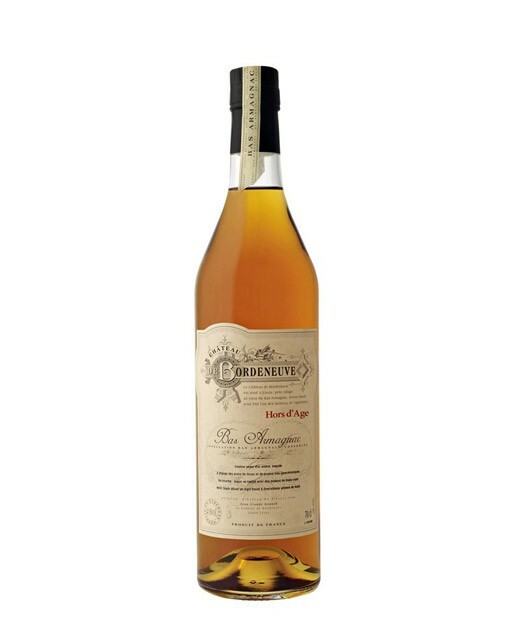 It has an elegant nose of exotic fruits and candied orange. Very fine on the palate, elegant and well balanced, it has a long and nice final raisins and hazelnuts. The Guasch family reputation is no longer done in terms of Armagnac. The castle production is primarily from white ugni and baco planted on their own land. The Guasch taste is marked by vines growing in sandy soil to provide powerful spirits.Their products are perfectly authentic and fully traceable, even for trading activity. Indeed, the field has very old cellar where the family stores not only production but also barrels selected from the best producers of Armagnac.